This product has been discontinued. 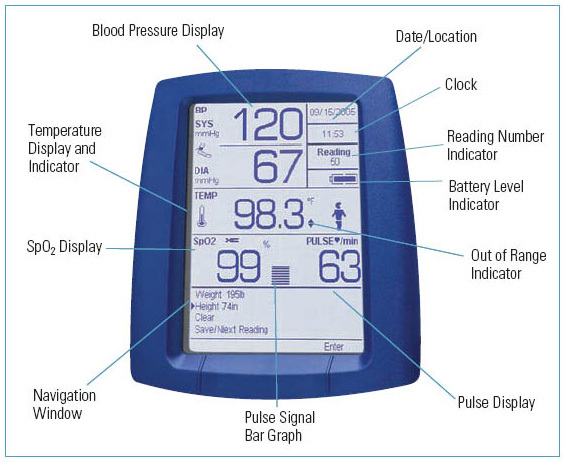 For comparable products, click here for the Spot Vital Signs Monitor or Connex Spot Monitor. With more options and parameters than other spot-check devices, the Welch Allyn Spot Vital Signs LXi allows you to customize the device to meet your specific needs. Ta.. This product has been discontinued. For comparable products, click here for the Spot Vital Signs Monitor or Connex Spot Monitor. With more options and parameters than other spot-check devices, the Welch Allyn Spot Vital Signs LXi allows you to customize the device to meet your specific needs. Take vitals in about half the time as other spot-check devices with superior reliability. The easy to use layout improves your workflow and patient satisfaction. Now available with wireless connectivity option to transmit vitals directly to your hospital EHR.